The duo, who will also perform during the event, will be joined by Ariana Grande, Pentatonix, the current Broadway company of WICKED, and more. The one-hour special will air Monday, October 29 at 10/9c. NBC is getting a little WICKED this Halloween. To celebrate the 15th anniversary of WICKED on Broadway, NBC is hosting a one-hour concert special on Monday, October 29 (at 10/9c). A VERY WICKED HALLOWEEN: CELEBRATING 15 YEARS ON BROADWAY will be hosted by Idina Menzel and Kristin Chenoweth, the original Elphaba and Glinda, who will also perform during the event. Additional performers include Ariana Grande, Pentatonix, the current Broadway company of WICKED, and more. Naturally, Miranda’s methods rub all of Jill’s friends the wrong way. 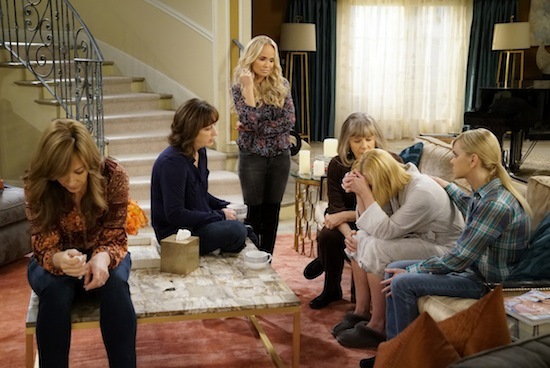 But with Christy (Anna Faris) reeling from her law school rejection, Miranda’s can-do attitude, might be exactly what she needs.